Beautiful home on quiet street in Roswell's best SWIM/TENNIS neighborhood with TOP SCHOOLS and close to everything. Hard to find large, level, fenced backyard. 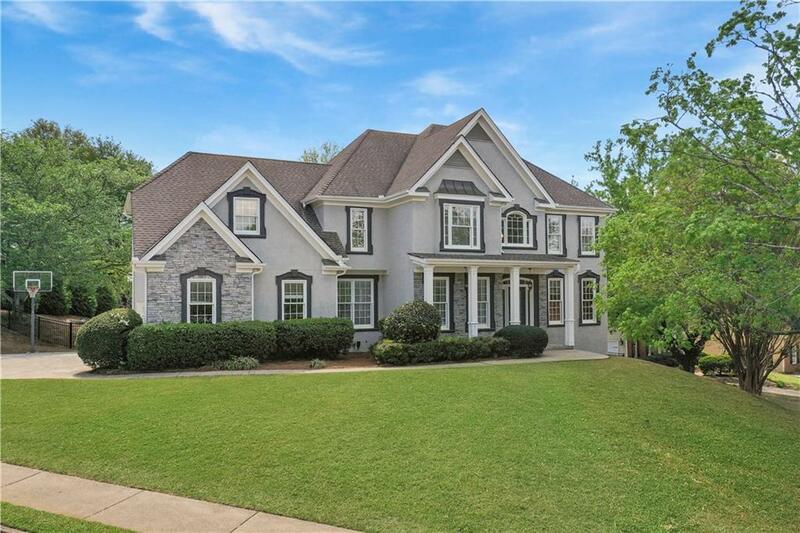 Open floor plan with glistening hardwoods throughout, updated finishes (family room fireplace, coffered ceiling, new powder room, lighting fixtures, etc), and fresh paint inside and out. Expertly finished terrace level with full bath, wet bar, media area, rec room and more. Upstairs master suite with sitting room, large ensuite bath and his/her closets. 2 additional full baths upstairs. Main floor guest suite. Directions: Ga400 To Exit 8, West On Mansell Rd, Right On Houze Rd. Left On Edenwilde Dr, Right' On Wilde Green Dr, Home Is On The Left.